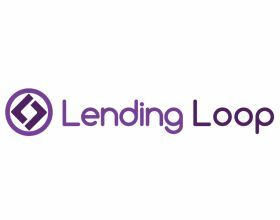 Join host National Crowdfunding Association of Canada and sponsors Optimize Capital Markets, Inline Reference Check, GreedyGiver and FuelLocal.com for an inaugural networking night and social mixer in the heart of the financial district in Toronto. Only a few tickets remaining! All ticket prices include venue entrance and 1 free drink (apps will be served). $5 pints and mojitos available all event. 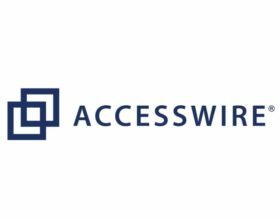 Mingle with industry experts over cocktails and strategize crowdfunding tactics that will propel your business venture or organization's vision to the next milestone. Enjoy the networking vibe and participate in one of Canada's fastest growing sector. Interested in connecting with portals and consultants to learn the art and science behind the 'secret sauce' of successful Crowdfunding? Want to know the latest discussions topics on equity crowdfunding around the country? Looking to figure out what all the hoopla is about? Don't worry we've got it covered. So grab some business cards and join our growing crowd in a comfortable setting! Twitter contest for drinks and prizes. $5 quality pints and mojitos all event long. This event is for NCFA members and non-members interested in networking, sharing, collaborating and connecting with crowdfunding experts, advisors, providers, portals, dealers, start-ups, creators, leaders, small-to-mid-size businesses, investors, angels, talent scouts and VCs. 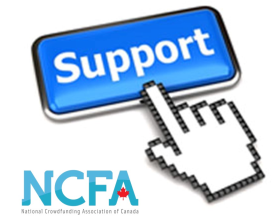 As Canada’s crowdfunding advocate, NCFA Canada works closely with industry, government and academia to build support for Canada’s rapidly growing Crowdfunding community by providing education, advocacy and networking opportunities to a national membership base of 750+ industry stakeholders, small businesses, and investors. NCFA Canada is a community-based, membership-driven entity that was formed at a grass-roots level to fill a national need in the market place. For more information please visit ncfacanada.org. 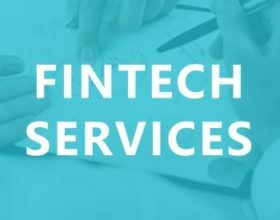 Optimize Capital Markets™ is building the Largest Institutional Crowdfunding Marketplace in North America where Institutional and Accredited Investors can discover and trade in Private Investment Opportunities. Typical deals include Infrastructure Projects, Large Real Estate Developments, and Proven Technology Companies. Since launching out of Toronto in September of 2009, Optimize Capital Markets™ has since expanded its operations to include Quebec, Alberta, and British Columbia. For more information please visit www.optimizecapitalmarkets.com. Based in Toronto, Inline Reference Check is Canada’s most experienced background checking company. Inline enables knowledge-based companies to make better decisions about their workplace environment. Inline provides management with timely and actionable information sourced from reference and background checks as well as exit and retention interviews. For more information please visit www.inlinereferencecheck.com. GreedyGiver is a reward and perk-based crowdfunding platform that allows people to raise money for worthy causes, new business ideas,community initiatives and everything in between. GreedyGiver is the only platform that provides a Perks Marketplace™ for crowdfunders, making fundraising a snap! For more information please visit www.GreedyGiver.com. Promoted by Metroland Media, Fuellocal.com is focused on local crowdfunding initiatives across all categories. With our extensive reach we have to connect our communities to people who can make a difference by supporting campaigns in their own back yard. Please share this event with your colleagues and network. If you'd like to get involved with this event please contact us at casano@ncfacanada.org. 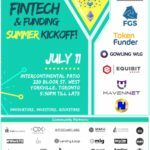 Toronto Fintech & Funding Networking Event (Jul 11, 2018): 4th Annual NCFA Summer Kickoff!